Social media firms face heavy fines or criminal charges if they breach rules under sweeping new powers to be granted to an online safety commissioner. Tech giants will also face harsher penalties for letting underage children use their services without parental control. And “serious” cyber bullying, together with videos that promote self-harm, anorexia or suicide, will be recognised as specific categories under the new regime. The new watchdog could become one of the most powerful in Europe as, under EU law, it will be “required to regulate all video-sharing platforms that are based in Ireland”. It means that if YouTube or Facebook, which are both based in Ireland, host inappropriate videos, the Government will have new powers and responsibilities to take action. The Government’s new laws come after the recent ‘Momo’ scare, a hoax that fooled schools, police forces and parents into believing a horror character within kids’ videos was telling children to harm themselves. It also follows an announcement by YouTube in recent days that it will shortly ban all comments on all videos that show young children. The subsidiary of Google said it was doing this because of “predatory” comments being left, which sometimes acted as a resource for paedophiles. The new regime is likely to involve heavy fines and the threat of criminal charges, it is understood. 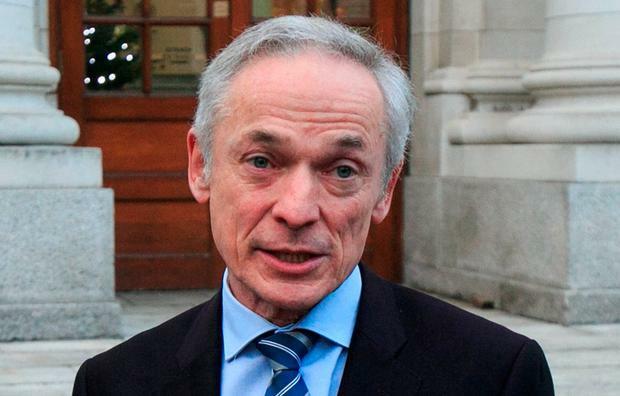 Communications Minister Richard Bruton has not yet said what the penalties will be, as the Government is to first set up a six-week “consultation period” with tech companies, privacy advocates and child protection agencies. Mr Bruton said that it will be set up either in a reformed Broadcasting Authority of Ireland or as a standalone entity. “The situation at present where online and social media companies are not subject to any oversight or regulation by the State for the content which is shared on their platforms is no longer sustainable,” he said. The commissioner will be tasked with tackling a new category of cyber bullying that includes “content which is seriously threatening, seriously intimidating, seriously harassing or seriously humiliating”. They will also be required to resolve issues involving “material which promotes self-harm or suicide” and so-called ‘pro-anorexia’ videos. Mr Bruton said while it will still be up to gardaí to prosecute offences, “it is important that platforms take preventative steps to protect victims of such offences”. But he said the legislation needs to be precise to be effective. Separately, Press Ombudsman Peter Feeney warned of a significant issue with commentary on social media where “people are abused” and there’s “terrible defamation” in a “sort of Wild West territory”. He said broadcasting is regulated by the BAI and there’s a complaints process for print and online news through the Press Council of Ireland. Mr Feeney said there’s no equivalent for social media and this needs to change. “It’s distorted in favour of an unregulated sort of Wild West territory,” added Mr Feeney.